Marni McGee & Amanda Podany, Professor of History at California State Polytechnic University in Pomona. This volume features the rich civilizations of Mesopotamia, Syria, Israel and their neighbors. Even though these civilizations are even older than those featured in the Rome volume, this book is full of lively characters whose "voices" are still to be heard if we listen!. 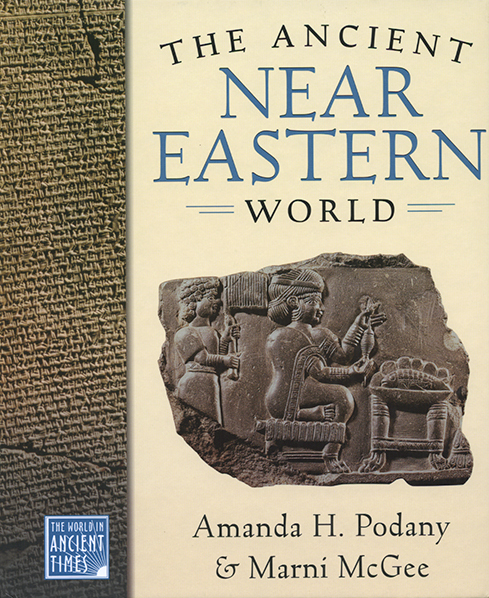 A collection of eight individual books that provide a global perspective to the study of ancient history. Each book in the series is written by a scholar of the ancient civilization paired with an experienced writer of nonfiction for young people. Through these little "writing marriages," Oxford University Press has created dynamic, lively volumes that are absolutely accurate and up-to-date. The authors were told: "Don't make anything up, but make it read like fiction!" This 8-volume series includes teacher and student guides, all of which may be purchased from Oxford University Press.